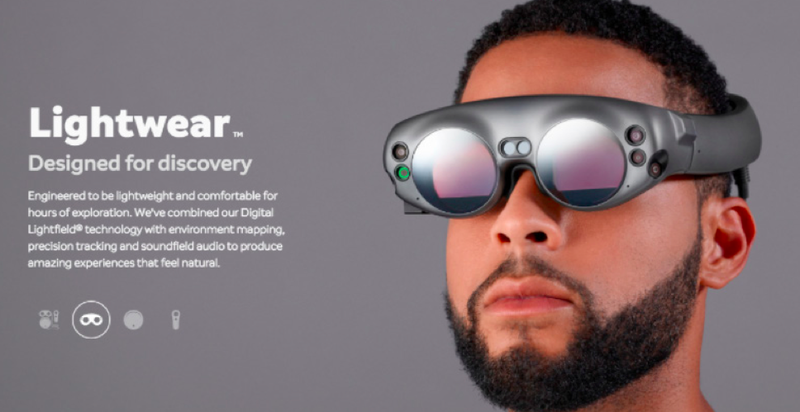 AI and Mixed Reality glasses will be in demand in 2018, according to predictions. Publishers around the world are increasingly concerned about the impact of tech companies such as Facebook, Google, Apple and Amazon on their businesses, but see internal resistance to change and inability to innovate as even bigger challenges. Many are looking at opportunities in voice-activated assistants and podcasts and will be looking to exploit artificial intelligence to create more personalised services. Most publishers are pursuing increasingly diversified revenue streams with a particular focus on subscription, membership and other forms of reader payment. This evidence is drawn from a new survey of almost 200 CEOs, Editors and digital leaders from 29 different countries, part of the Reuters Institute’s annual predictions report. 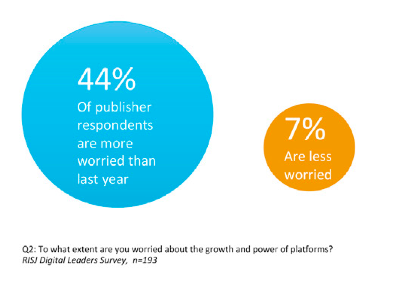 Publishers are now more worried about the power of technology platforms than they were at the start of 2017. Almost half of respondents to the survey (44%) say they are more worried about the power and influence of platforms than this time last year. Fewer than one in ten (7%) are less worried. Sentiment towards Facebook in particular seems to have worsened following its perceived role in promoting fake news, the lack of promised revenue for video, and a sudden drop in Facebook referrals to many news websites. Many publishers are concerned that Facebook is planning to downgrade news content further in 2018. On a scale from 1 to 5, publishers had a more positive view on average of Google (3.44) and Twitter (3.23) than they do of Snapchat (2.82) or Facebook (2.57). Despite this, publishers also blame themselves for their on-going difficulties. The biggest barriers to success, they say, are not tech platforms but internal factors such as resistance to change and inability to innovate. Taken together (36%) these two categories outstrip concern about platforms as the single biggest challenge (21%). The digital leaders survey shows a clear but not universal view that advertising will become less important over time (62%), with one in ten (10%) saying they are actively planning for a future with little or no display advertising. New York Times CEO Mark Thompson, one of those to contribute to the Reuters Institute survey, argues that the continued rapid decline in both print and digital advertising revenues will lead to “growing economic distress this year” and further industry consolidation. Most publishers say they will pursue multiple revenue streams in 2018. The report picks up important shifts in how news organisations plan to make money in a digital world. The majority of print and digital-born publishers in this survey are now pursuing multiple revenue streams, with an average of six different options viewed as very or quite important. Going into 2018, almost half of commercial publishers (44%) see online subscriptions as a very important source of digital revenue in 2018 — more than digital display advertising (38%) and branded and sponsored content (39%). Membership, which it defined as a regular fee paid by loyal users to keep the site free for all, was considered very important by 16% and one-off donations by 7% of respondents. The report suggests that any substantial move towards reader payment could increase the so-called information divide. If more high-quality content disappears behind a paywall, there is a danger of widening the current disconnect between the elites and the rest of the population — potentially leading to a situation where those who can’t afford to subscribe are subject to the lowest quality journalism and the highest amount of misinformation. This could be the year when media organisations recognise how critical data will be to their future success. In the survey, almost two-thirds of publishers (62%) said that improving data capacity was their most important initiative for the year ahead. Closely related, over half of publishers (58%) said registering users was considered very important, with another quarter (26%) saying this was quite important. As one example the BBC has already registered 23m people by making registration to its iPlayer catch-up service mandatory. Moving audiences from the ‘anonymous to the known’ is critical for publishers looking to create a deeper relationship with audiences and to provide more personalised and relevant services. Almost three quarters (72%) are planning to actively experiment with Artificial Intelligence (AI) to support better content recommendations and to drive greater production efficiency. The wider report details four different ways in which these technologies can help news organisations with examples of early adoption. This article has been edited (with permission) from its original version. Read the full original article here, published by the European Journalism Observatory.